To get the most for your money when you shop at the exchange on Patrick Air Force Base in Brevard County, Florida, sign up for your free account on MyMilitarySavings.com. Here, we work tirelessly in order to compile all of the coupons and discount opportunities that we can find from a wide variety of sources into a single user-friendly site in order to make it easier for military shoppers like you to find deals to use at your local exchange and commissary. We even host helpful links to the Army and Air Force Exchange Service (AAFES) so that you can quickly navigate to the latest sales information. 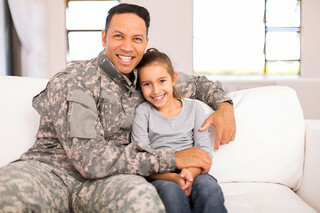 Enroll in your complimentary account on MyMilitarySavings.com to receive coupons and discounts at the exchange and commissary on Patrick AFB, as well as access to other exciting tools.